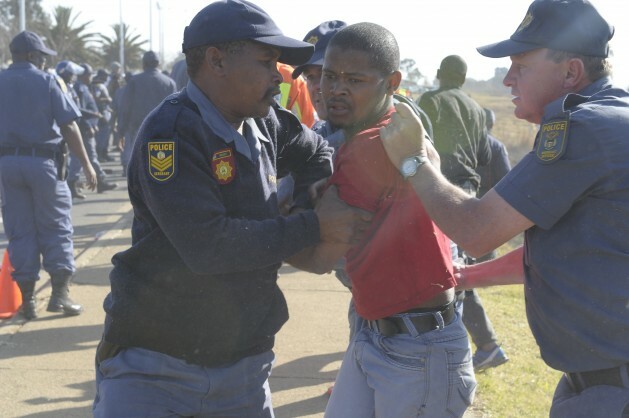 Police action in response to indigenous protests is increasingly under scrutiny in South Africa. Credit: Thapelo Lekgowa/IPS. SYDNEY, Apr 30 2014 (IPS) - The global spectre of state violence against political dissent, with paramilitary law enforcement units advancing against citizens they are employed to protect in cities such as Cairo, Bangkok and Kiev is daily news. But in some developing countries, the police are being used to put down indigenous opposition to the alliance of state and corporate power over resource extraction.